A and R Hoods is proud of its past. Our company was founded in 1985 by Steve Russell. He returned home after serving in the United States Air Force and was ready, willing and “almost” able to plant some roots in Washington. With love, support and startup capital from his mom and stepdad, Steve was able to purchase equipment and supplies; A and R Hoods was born. Naming his new company came easy for Steve; out of appreciation and respect for his parents, the A is for (Anderson) and the R (is for Russell). The commitment of high-quality hood and duct cleaning, the utmost concern for his customers’ safety, and his unfailing dedication to above and beyond customer satisfaction are Steve Russell’s qualities that make A and R Hoods the A+ business it is today. From its humble beginnings, A and R Hoods has become one of Washington’s premier commercial hood cleaning companies. A and R Hoods focuses on hard-to-reach and non-visible areas of your hood exhaust and ventilation system. With strict compliance to the National Fire Protection Association (NFPA) #96 standards, your entire exhaust system will be cleaned, inspected and serviced from top to bottom, inside and out. 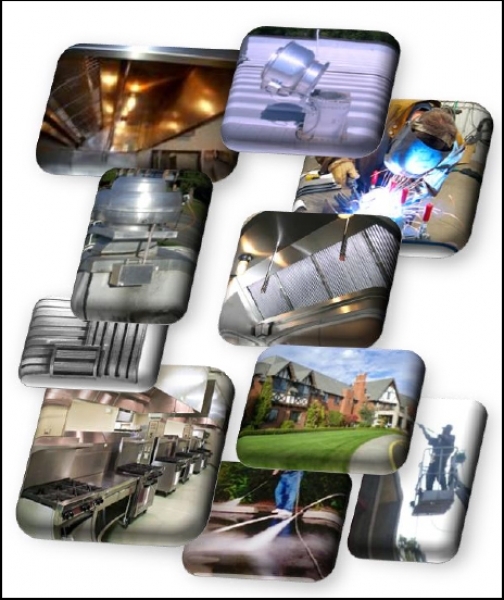 In addition to the standard maintenance of hood and duct cleaning, A and R Hoods provides its commercial and industrial kitchen owners with additional services to ensure the safety of staff and customers. We are dedicated to improving the overall appearance of your kitchens while meeting strict fire codes and health department regulations. We have proudly served Western Washington residents for over 25 years, and are pleased to have expanded our services to Eastern Washington as well. We value our positive relationship with the fire marshal’s office, the health department and insurance companies. Why Choose A and R Hoods for Commercial Hood and Duct Cleaning in Seattle? We are available 24x7 to provide high-quality cleaning services for all of your commercial and industrial kitchen needs. We are fully licensed, bonded and insured according to Washington State regulations. Not only do we guarantee our work, but we strive to exceed your expectations. Give us a call today…we are here to help with all of your commercial hood and duct cleaning needs!